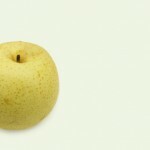 Nijisekeiki (20th Century) – This is the best flavoured and most popular Asian Pear. It originated in Japan in about 1900. It is round and yellowish. It easily bruises but store well up to six months. They mature in late August. Large quantities available. 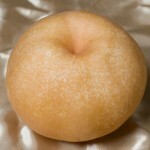 Yionashi – A large brown-skinned fruit, shaped like an orange with excellent flavour. It sizes better than the 20th century. It matures in late August. Large quantities available. Shinko – Large and round to slightly flattened with a beautiful bronze-russet skin. The fruit flavour is excellent and stories for about 3 months. They mature in late September. Available in small quantities. 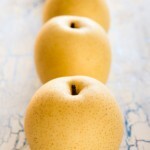 Shinseiki – A round yellow skinned firm fruit that matures in late August and stores well up to 6 months. Its appearance is larger than 20th century and less juicy but more cripsy. Small quantities are available. 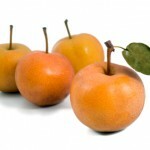 Chojoro – An old, firm, brown to orange skinned and flat shaped fruit. 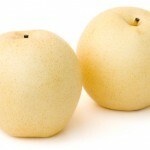 Not as juicy as other types, It matures in mid-August but stores up to 5 months. Available in very small quantities. Shinsui – Comes in a grown-Gold colour and is of a good size. It has a very sweet taste and matures in late July. Available in very small quantities. 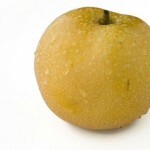 Hoshui – A very large juicy sweet low acid, bronze-skinned pear. It ripens in mid July. Available in small quantities.